If there's one thing superhero movies just love to do, it's include loads and loads of villains. Many remain cautious about Spider-Man: Homecoming for this very reason. Less is sometimes more in this regard, and so far the webslinger reboot has The Vulture, Shocker and The Tinkerer. That's a lot of baddies to pack in, yet there's still room for one more. Schmoes Know reports that in addition to the three already-confirmed villains, Spider-Man's also going up against another baddie. Well, not Spider-Man specifically; Peter Parker. According to the site this other antagonist is a "non super-powered character who butts heads with Peter in his everyday life." So who might this mysterious "everyday" villain be? First let's cover the obvious: Flash Thompson. He and Peter go way back, as he's the first major bully the young superhero encounters. Tony Revolori was cast in the role months ago so it's unlikely that this report is referring to him. It could be the Daily Bugle editor J. Jonah Jameson. He's always had friction with Parker over his work... but wait, Peter's a kid in this film. Is he really going to be freelancing while still at high school? Of course, it could be his father, J. Jonah Jameson Sr. who is currently shacked up with Aunt May in the comics. If the IMDB cast list is correct, it's possible that Ned Leeds is the guy. He's a senior who in one comic series dated Mary Jane Watson. She falls for him, he decides he'd rather go out with Betty Brandt and dumps MJ. He and Peter don't get along at all. Then there's Peter's electronics professor Mr. Cobwell. His name also appears on IMDB and he makes for a solid candidate; in the comics the pair don't see eye to eye after Peter steals supplies from him. They bury the hatchet later on, however, so it could be that the two are temporary enemies. 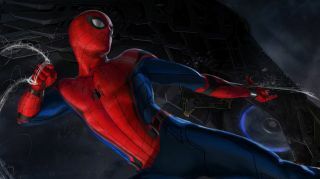 Directed by Jon Watts and starring Tom Holland, Marisa Tomei, Michael Keaton, Robert Downey Jr, Donald Glover, Bokeem Woodbine, and Zendaya, Spider-Man: Homecoming will swing into cinemas on July 7, 2017.